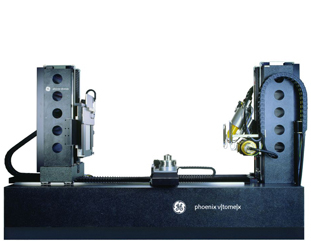 The phoenix v|tome|x L 450 is a versatile high-resolution microfocus system for 2D and 3D computed tomography (micro ct) and 2D non-destructive X-ray inspection. With its granite-based manipulation it is handling even large samples with highest precision. The system is an optimal solution for void and flaw detection and 3D metrology (e.g. first article inspection) of castings. An optionally second X-ray tube allows to adapt the v|tome|x L 450 to any kind of industrial and scientific CT application.